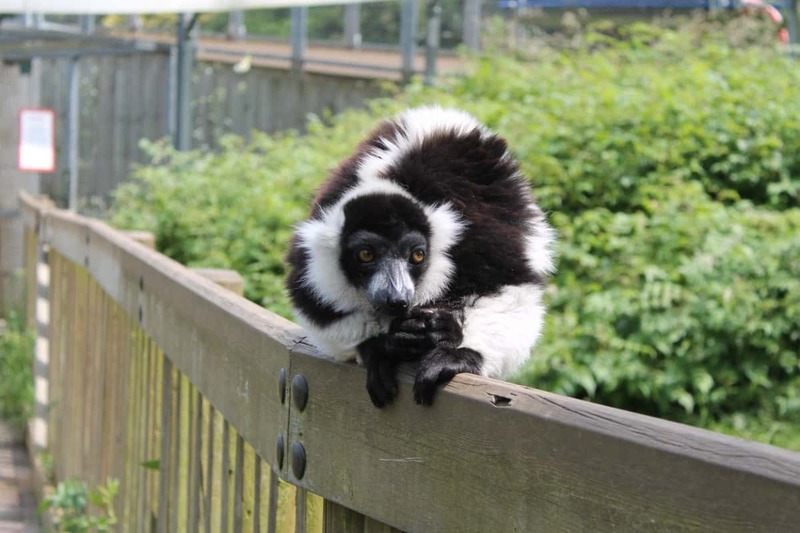 Last week we went on a little day out to Woburn Safari Park – We had some Tesco vouchers to use up and love a trip to the zoo! It’s about an hour away from us and we hadn’t been since before kids and so we thought it would be a nice family day out. 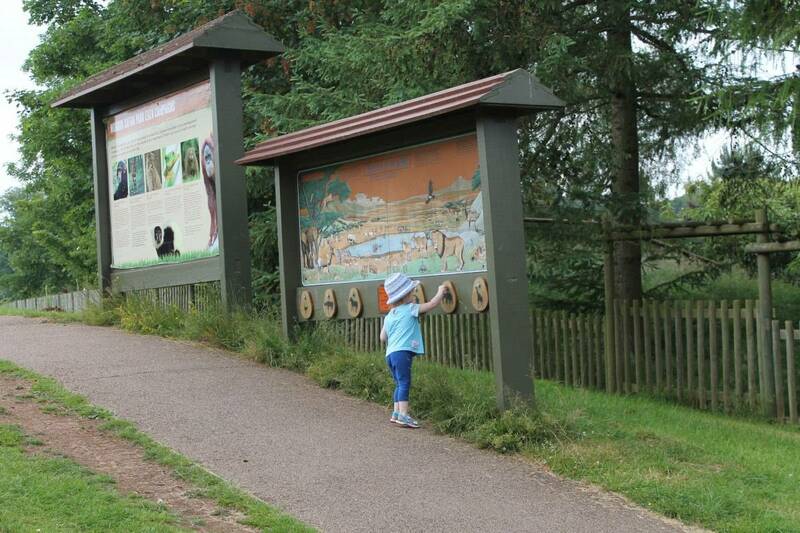 What were our first impressions of Woburn Safari Park? Woburn Safari Park has drive through ticket booths that were simple and quick although only one booth was open it wasn’t very busy at all. You then drive into the park and are directed to either the drive through road safari or the on foot safari part of the park. I think most people go straight through the drive through safari but as it was nearly lunch time we decided to go to the on foot part, have a picnic and a wander around before doing the drive through safari and then heading home. 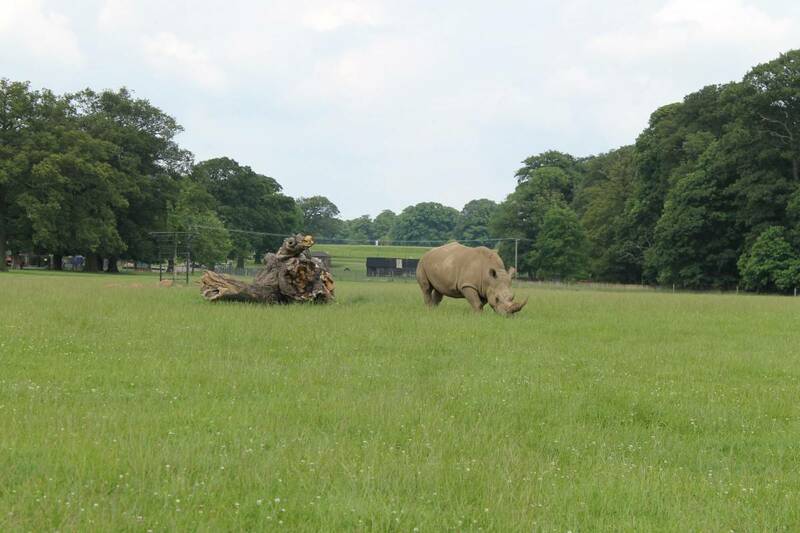 There seemed to be quite a lot of development work going on at Woburn Safari Park at the moment so when we stopped for a picnic there were a few areas that were fenced off with workmen inside. This was off putting so we walked further to find somewhere quieter and prettier to eat our lunch. 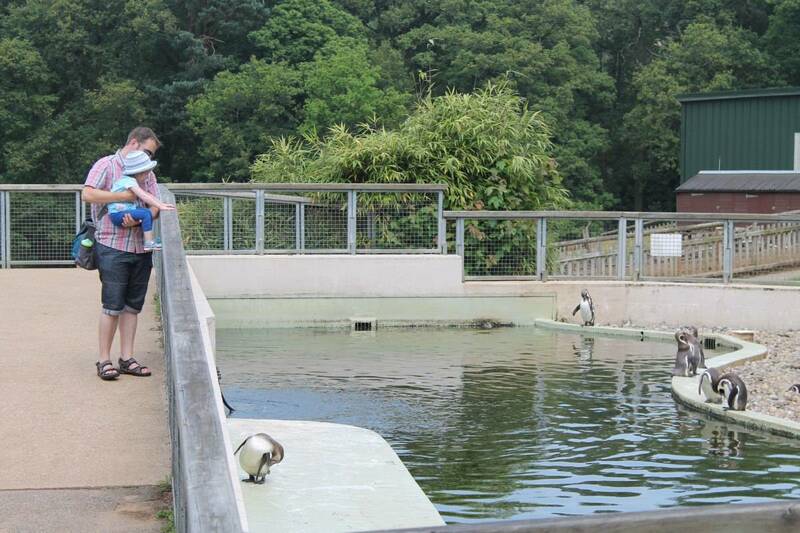 We then went for a wander through the lemur enclosure, past the penguins, seeing giant tortoises, lazy pigs laying in the sun and sea lions showing off for the tourists! 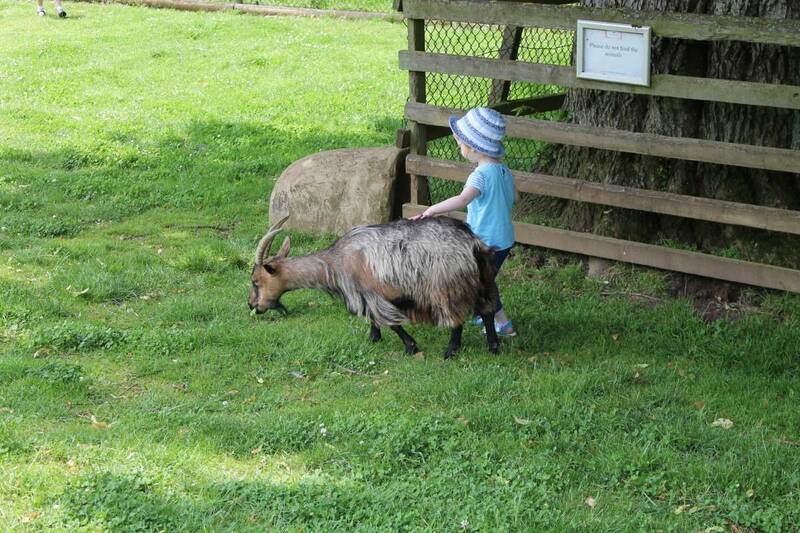 There was also a walk through squirrel monkey enclosure, an Australian outback walk through and a petting farm part with lots of goats. 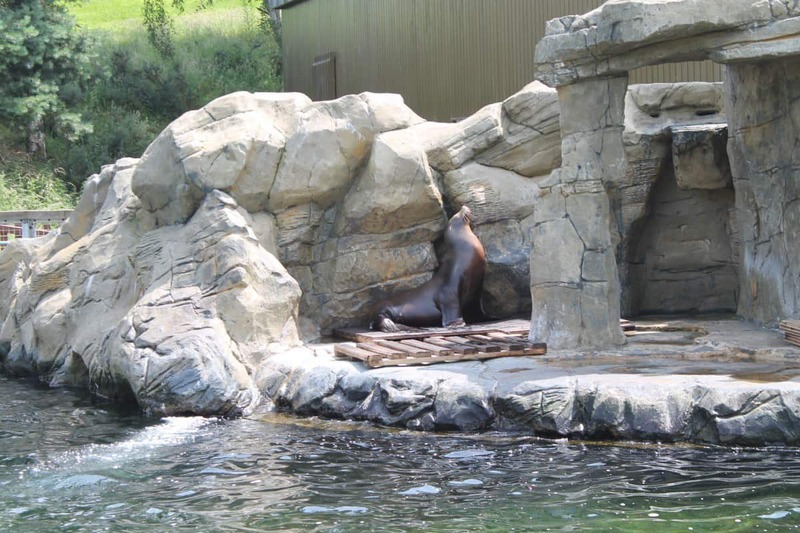 There were places everywhere to wash your hands if you’d touched animals or their enclosures. 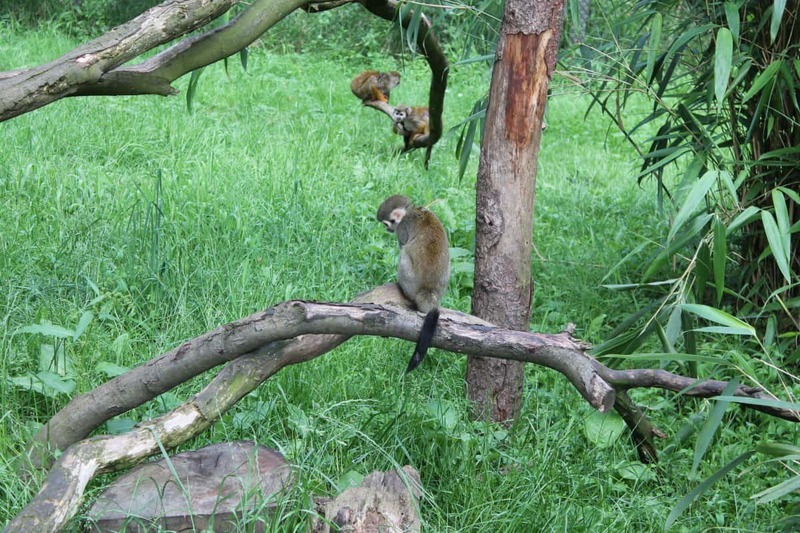 One great thing about visiting any zoo at this time of year is that there are baby animals everywhere – Tiny squirrel monkeys, baby wallabies in pouches and the smallest lemurs I have ever seen. 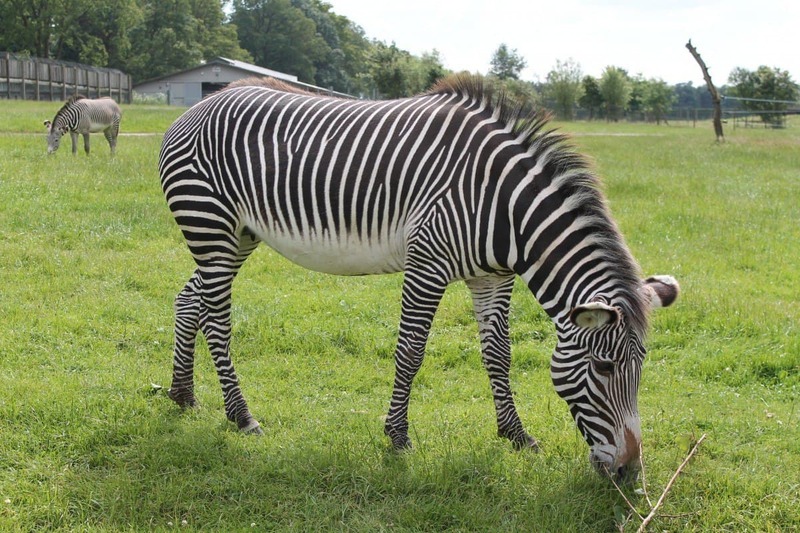 A really great time to visit an animal park! It took us a couple of hours to walk through the on foot parts and we then stopped for ice cream before heading back to the car – Not the cheapest of ice cream, or the cheapest of gift shops but the prices are as you would expect from any tourist attraction and the ice cream was lovely! 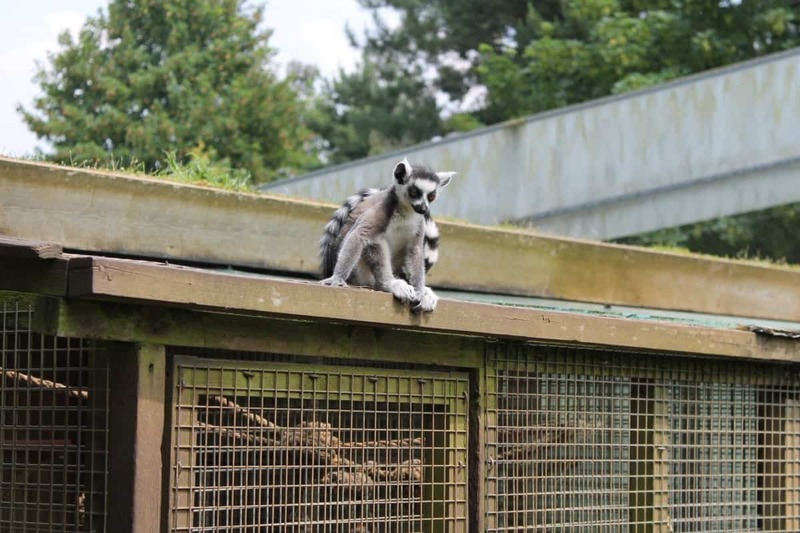 What is the Woburn Safari Park drive through safari like? 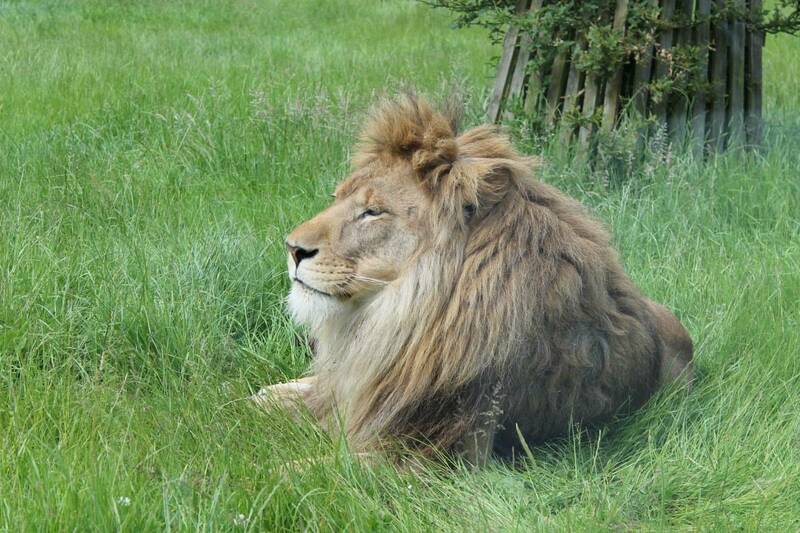 We then went back to the car and headed for the drive through safari. The safari took around an hour and it was a nice leisurely drive past rhinos, giraffes, zebras, bears, wolves, tigers, lions and more. I’m glad we saved the drive through until last as the kids were sleepy and happy to be in their car seats, not anxious to get out, none of us were hungry and we were all quite happy to just drive through at our own pace. 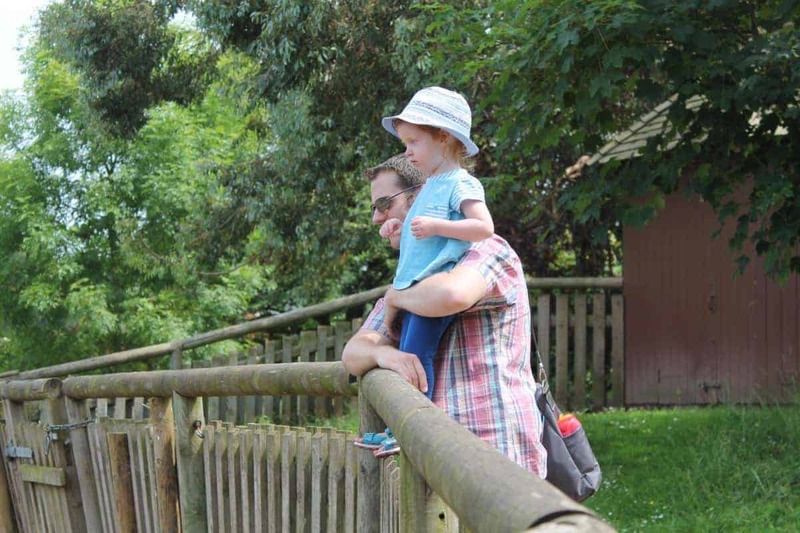 What were our overall thoughts of Woburn Safari Park? 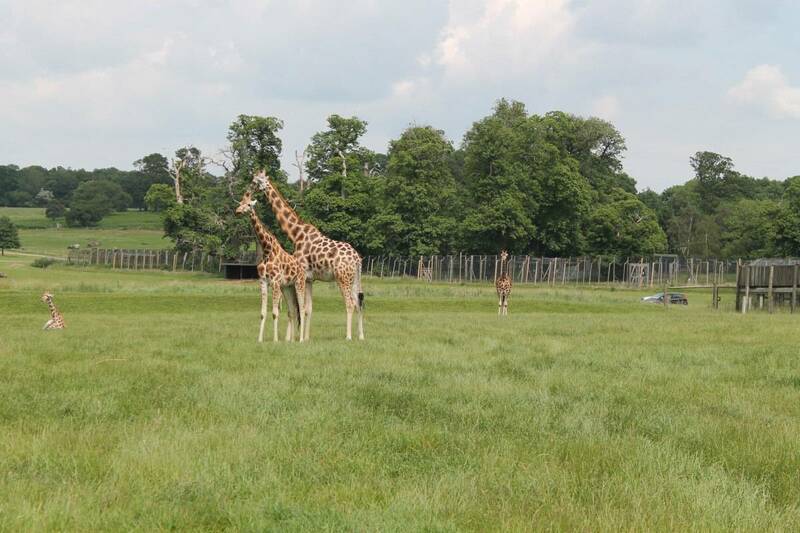 Overall Woburn Safari Park was a lovely day out. 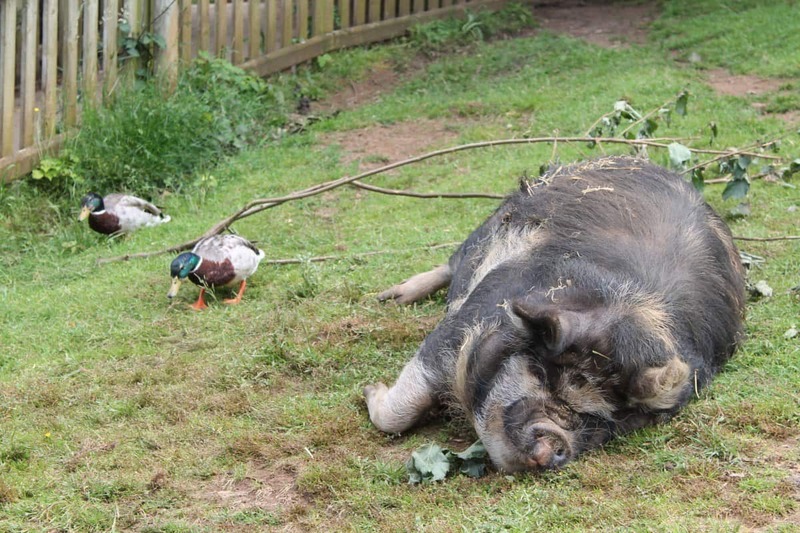 There were enough animals to see along a lovely walk and drive as well as a soft play area and adventure playgrounds to make sure the visit is one that will suit all members of the family. As with all tourist attractions I’m glad we can come on a weekday during term time at the moment as it was lovely to experience somewhere without the queues and crowds of people – Although there were a few coaches of school children! Lovely photos! Even with the development work, it looks like it is a nice place to visit! I haven’t been here since I was small! 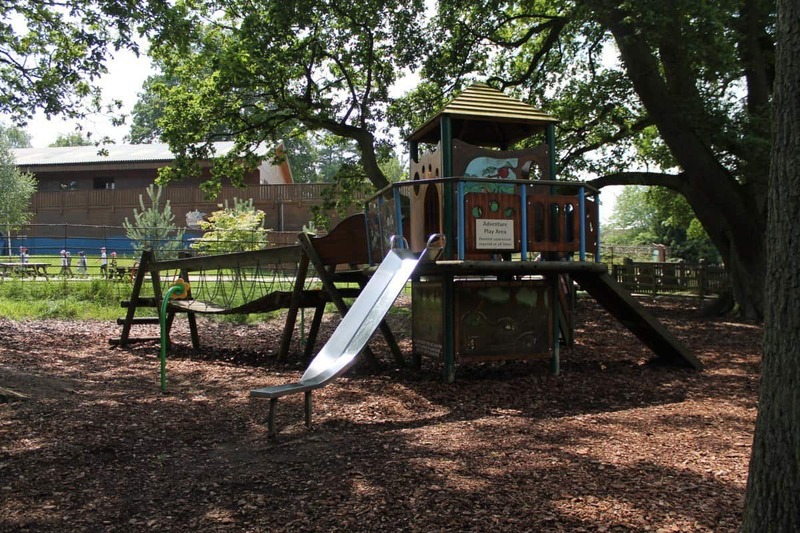 It looks like you had a lovely day out and that there was plenty for your little ones to do.